According to later Hebrew traditions, Leviathan will be vanquished in a great final battle with the archangel Gabriel, and the banquet celebrating the eventual arrival of the Messiah will take place in a tent made from the monster’s skin. 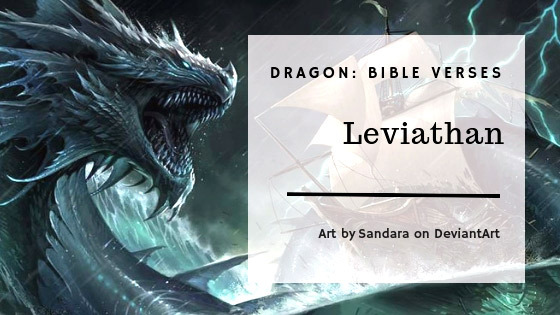 There are seven references to Leviathan in the Bible, New Revised Standard Version. WAS LEVIATHAN A REAL DRAGON? There are hundreds of legends about fire breathing dragons. Why do so many countries have legends about fire breathing dragons? Maybe it’s because they really had fire breathing dragons. If these people were just making this stuff up, why don’t we ever hear a story about a fire breathing hamster or some other kind of animal? It is always a dragon. With a greater number of improved scientific methods of investigation, there is growing evidence that sea creatures and monsters were more than just a product of sailors’ imaginations. 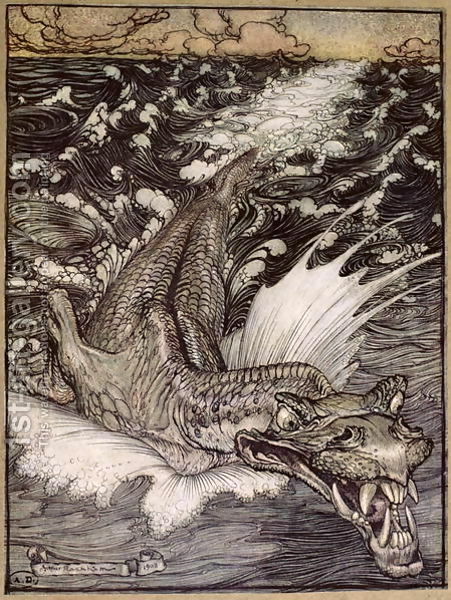 While many scholars identified Leviathan as a crocodile, there are several problems with this idea. While some crocodiles do venture into coastal regions and are able to swim out to sea, the deep ocean is not their normal place of dwelling. They are found primarily in inland waters, where they exist in lakes, rivers, estuaries and swamps. They breed on the shores. Therefore they would not be described as great beasts of the sea (Psalm 104:25–26). Neither are crocodiles so terrifying that no man dares to tackle them—crocodiles are routinely trapped and killed by native tribes without any kind of advanced technology. Job 3:8 Tell the sorcerers to curse [the day Job was born], those who know how to control Leviathan. Psalm 74:14 You crushed the heads of the monster Leviathan and fed his body to desert animals. Psalm 104:26 The ships sail on it, and in it plays Leviathan, that sea monster which you made. Isaiah 27:1 On that day the Lord will use his powerful and deadly sword to punish Leviathan, that wriggling, twisting dragon, and to kill the monster that lives in the sea. 2 Esdras 6:52 You let Leviathan live in the sea. You kept them both alive, so that your chosen people may feast on them at the time you choose.